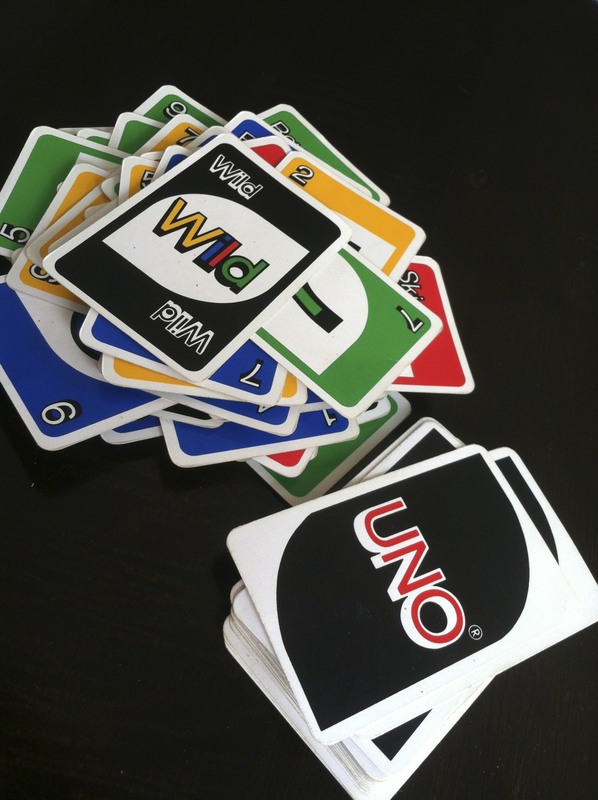 Davis learned to play Uno this weekend. Now he is obsessed with Uno. It’s the first thing he wants to do when he gets up in the morning. One cute thing that he does – he can’t hold all his cards, so we have to play on the couch so that he can hide his cards under a pillow. i got a game set at the consignment sale that had this awesome plastic thing for kids to hold there cards. i am sure they make them somewhere. it has made card playing easier for cannon. Next Next post: Is There a Doctor in the House?